Luxembourg is a pretty, tiny but proud and glorious country in the west part of Europe. It doesn’t have an access to the sea. Luxembourg is world’s famous historical and commercial center. On its territory there are numerous ancient castles and palaces, including the ancient Roman fortress and the French count's castle. Long time ago Luxembourg used to be a leader among the countries of west part of the world. Luxembourg’s architecture and traditions represent the charming fusion of Roman and German cultures. It is a strong, stable, prosperous state, full of beautiful sights and interesting facts. If your friends ask you where you are going this time, surprise them by telling the full name of the country, which is "The Grand Duchy of Luxembourg." Does that mean there are any other Duchies? No, Luxembourg is the only existing sovereign Grand Duchy on planet Earth. Luxembourgish was a proto language, spoken by almost all Luxembourgers. But French remains the official language for docs, contracts and negotiations. But everyone who ever studied in Luxembourg speaks German. German is also used in the media. Grand Duke Henri has been ruling this tiny state since 7 October 2000. Luxembourg can honestly be called a mini-country. This beautiful and proud duchy houses only 2600 square km. Yet there are 19 other countries that are even smaller. The population of Luxembourg is about half million people. There are more people in New York and Moscow. Luxembourgers seem to be really fond of cello-phones. They have 151.7 moblie phones per 100 people. In Luxembourg people get the highest minimum wage in the world. The sum is 1642 euros, and it will get higher! You will always meet a person who speaks English in Luxembourg. Despite of great number of roads and buildings, one third of the country is covered with the green forests. 100% of Luxembourg people are educated, and moreover, you cannot find a place to get better education. Students in Luxembourg get the best one! Luxembourg Interesting fact: the well-known and great French writer Victor Hugo used to live here. In 1871 his museum appeared in that very house where he lived. Now it is very popular among the Dutch and German tourists. 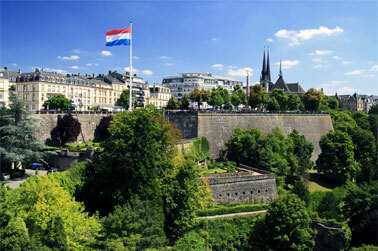 Luxembourg provides the best banking services. You can find here 150 banks from 25 countries. An interesting fact that under the Luxembourg capital fortresses the underground tunnels are hidden. You can walk there for more than 21 km! 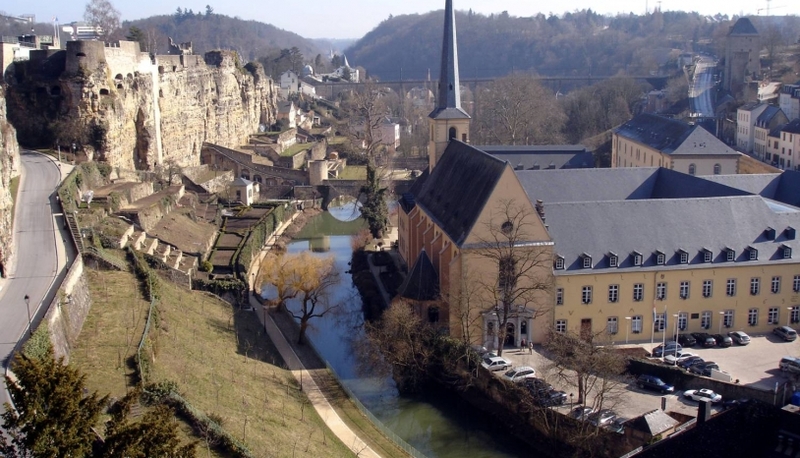 Luxembourg was included into UNESCO World Heritage List because the whole town can be called the historical site.